Description: THIS IS A BY-INVITATION ONLY EVENT.  celebrating the work and life achievements of clients of The Arc and the employer-partners who champion their success. Cocktails and Hors d'Oeuvres 5 p.m. to 6 p.m. Awards Ceremony 6 p.m. to 7 p.m. THIS IS A BY-INVITATION ONLY EVENT. CONTACT (415) 255-7200 for more information.